Searching for something is what we all do. Natalie didn’t think she was on a mission to find answers for her life until she stepped outside her comfort zone of family and familiarity. It wasn’t deliberate, but an accident. After discovering what it was like to be on her own and travelling without direction, she found herself on the pilgrimage trail from Paris to Santiago de Compostela. In Santa Cilia de Jaca Natalie experienced soaring in the mountains with eagles and vultures for company. This is no ordinary romance, and you must read to the end to find out what happens to love in Natalie’s life. In the meantime, this is where she had fun flying with eagles. Clip #20 twisting and turning. 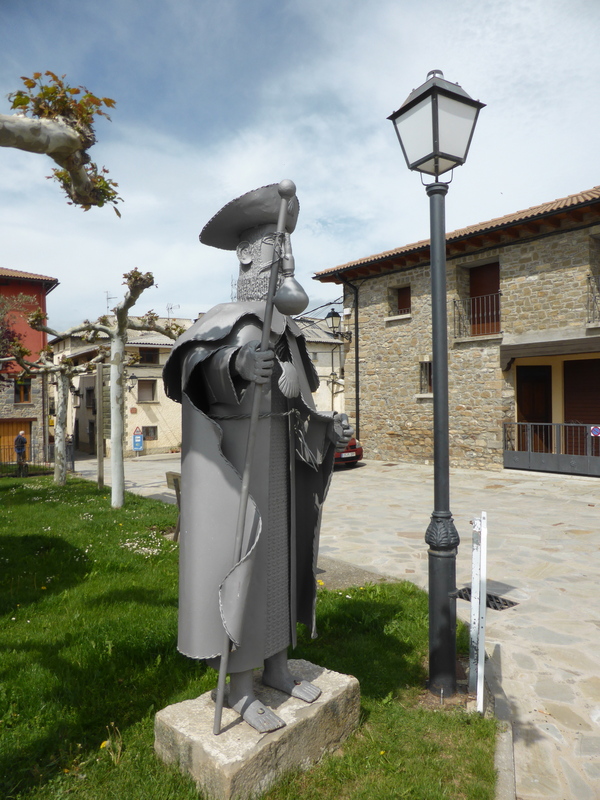 Some people on the Camino Way are on a Catholic Pilgrimage but by no means all. Natalie, like me, respects religion but doesn’t share in the practice of the faith. That didn’t stop her finding something inside herself because of her journey. Posted on September 18, 2015 September 18, 2015 by BrendaPosted in Gliding, Trains and Boats and PlanesTagged philosophy, Sanata Cilia de Jaca, Spain. Clip #14 This will give you an idea of the adrenaline rush Natalie (heroine) must have experienced. 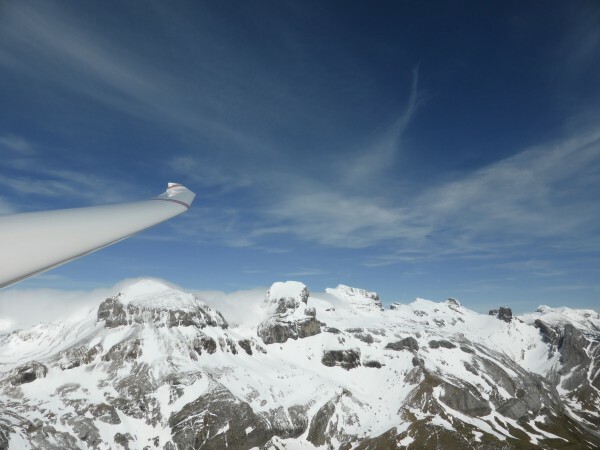 Look this up This is the gliding centre in the Pyrenees. Try YouTube clips and you will see how amazing the experience is. Posted on September 15, 2015 September 15, 2015 by BrendaPosted in Gliding, Trains and Boats and Planes, TravelTagged flying, Humour, Romance, Travel. Reading Clubs have sent me good feedback for my book. There are discussion suggestions in the back of the book. Some serious; some fun. One reading group decided to wear something turquoise because Natalie describes her life as turquoise. Life changes at forty for Natalie. She expects to remain in her comfort zone in a sleepy market town. She has a job as a bingo caller, a daughter preparing for college and an elderly father making his own life. She has been married to Gerry for eighteen years but he loves sport more than her. Gerry has a cycling accident in France. Natalie and her little dog Spike go to collect him. Poor map-reading skills take her on a journey through France and Spain. She finds a new self, but has to return home. Emotions run high as Natalie tries to make a difficult marriage work. At her fortieth, birthday party, comes a painful revelation. Now she is released into a new exciting life of love and marriage. Her new lifestyle attracts media acclaim and celebrity status. Natalie’s journey brings her laughter, tears, and surprises. Was Gerry a likeable character? Should Natalie have tried to keep her marriage going? If Natalie had not gone on her journey what would her life have been like? What reasons caused a lack of self-confidence for Natalie in the early part of the book? To what extent did being unable to have more children make Natalie less valued in her own eyes? How much did the divorce affect Katy? Natalie describes this period of her life as turquoise; if you described a phase of your life by a colour what would it be? Is travelling alone a good or a bad thing, and does it matter what age you are when you go? Today I received my first feedback from a reading group. It was a great feeling to know that people had read my book and continued with the reading club notes at the back. I was surprised, as it is still only an ebook. A day preparing the cover for the paperback is scheduled for April and the paperback will be available May 2015. Many debut ebooks still have the odd mistakes. It is inevitable when you are your own editor, but there are good stories around that would benefit from the odd tweak but worth reading. When I berated myself for a spelling mistake in 90.000 words I realised that the other 89,999 could be right. The best news is that readers are enjoying the story and I can’t ask more than that. Posted on September 15, 2015 by BrendaPosted in Marriage A Journey and A Dog, Romance and Humour, Triumph over adversityTagged Humor, Reading Groups, Travel. You’ve seen it all in the papers, but what I have seen and heard is a small but important part of the jigsaw. In the poor villages a trafficker turns up. He/she tells them that if they send someone to the UK or Australia their financial problems could be answered. First give the traffickers any valuables you have and then they have a friend who will lend the villagers the rest of the money they need. They have no other information and they have heard, or think they have of that other families who have become much better off.They give everything and more, then off goes the selected young person who has no job or future in their village. They wait and the tiniest amount of money arrives as the victim desperately tries to send something from where ever they washed up. The village struggles on to pay its debts, still hoping. In the schools I have visited I ask heads what their pupils will do when they leave school. “They will go abroad to the UK or Australia,” is the response and the students believe this is where their future lies. I have talked to teachers and told them the future of their school children is where they are and a hush, cuts through the room. Without this dream what are they educating these children for. There is little but drudgery for them where they are and they are lovely intelligent children. I still think we can educate teachers to tell their children and the children can educate the villagers. When the traffickers come calling they have some resistance. Trafficking is big, easy money. Why wouldn’t they do it? Confronting them could cost you more than money. This is migrants and not refugees, they are a another tragic story. Posted on September 14, 2015 September 14, 2015 by BrendaPosted in About meTagged About me, Volunteering abroad.